Our road resurfacing Professionals can not only repair chips and cracks, but also improve the aesthetic quality of your road. Problems in road construction in Melbourne are made easy with Asphalt FX! When you contact the Asphalt FX team for road resurfacing in Melbourne, you can expect to deal with a professional team with over 15 years’ experience in all types of asphalting. Our focus is on delivering a quality service, with no shortcuts. We are confident in the quality of the work that we deliver, and guarantee all work for your peace of mind. Asphalt FX is committed to continuous improvement and incorporates the upgrading and improving of techniques and use of state-of-the-art equipment into our standard business practices. Occupational Health & Safety, Quality Assurance, Environmental and Risk Management procedures and practices are integrated into our core business systems to ensure we deliver an outstanding product without incident. From cracks, to potholes, and uneven surfaces, the skilled and detailed team at Asphalt FX can conduct prompt and reliable asphalt road repair. Our road improvements, maintenance, and repairs can restore your road to its former glory, appearance, and quality. Once it has set our asphalt can safely allow heavy vehicles to continually travel on it without cracking or sagging under the pressure. 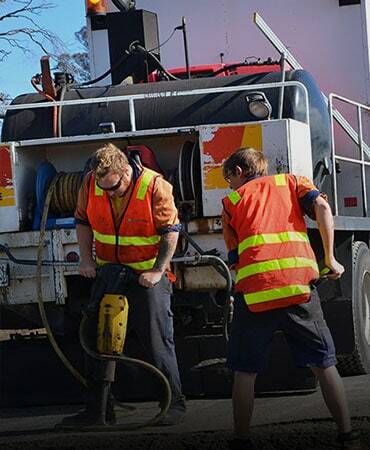 To take advantage of our unique and reliable asphalting services call a member of our team today on 03 9768 2154. A key part of road construction in Melbourne is pot hole repairs. For a professionally performed pot hole repair service, with experience in a variety of applications, give Asphalt FX a call.